The kingdom has faced intensifying worldwide pressure to be transparent about the death of Khashoggi, a columnist for The Washington Post who was a critic of Saudi Crown Prince Mohammed bin Salman. 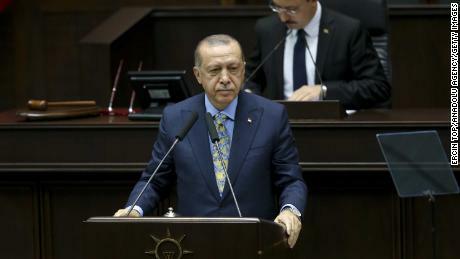 Turkish President Recep Tayyip Erdogan announced on Tuesday that the killing of Khashoggi was planned. On Thursday, a Saudi public prosecutor said the killing was premeditated, citing the Turkish-Saudi joint probe, Saudi media said. Jamal Khashoggi son was brought to the royal court to meet with Saudi King Salman [facial expressions of Jamal Khashoggi's son bore a forced and arranged meeting with the king], in the meeting King Salman offered the kingdom deepest condolences to the Khashoggi's family over the death of Jamal Khashoggi. The officials provided Haspel with video images and audio tapes as well as evidence gathered from the consulate and the consul's residence during a briefing at the Turkish Intelligence Organisation (MIT), Sabah newspaper reported. After an investigation from the Turkish officials found the claim to be contradicting, the attorney general of Saudi Arabia ruled Thursday that Khashoggi died following a premeditated attack. In the absence of high-profile figures, $50bn of deals were signed, although most were with companies from Saudi Arabia's regional allies, as well as the French oil firm Total, one of the few western companies that refused to withdraw. A Turkish official said the Washington Post report was accurate. Saudi Arabia is in the process of restructuring its general intelligence agency. He pointed to an announcement by Saudi authorities that they had arrested 18 men in connection with the death, urging Riyadh to explain why they had been arrested. Erdogan called it a "brutal" murder. Turkey did not have "any desire" to take the case to an worldwide court, he added, but would be willing to share information and the outcomes of its investigation. As we previously reported, four USA senators called for WWE to re-think their relationship with the Saudi government. But striking a defiant tone, MbS told worldwide investors at the conference on Wednesday that the furore would not derail the kingdom's reform drive. Crown Prince Mohammed bin Salman [MbS] said during his opening remarks in the summit that, 'we now know our friends and enemies'. "The interests that tie us are bigger than what is being weakened by the failed boycotting campaign of the conference", he told Saudi state TV.